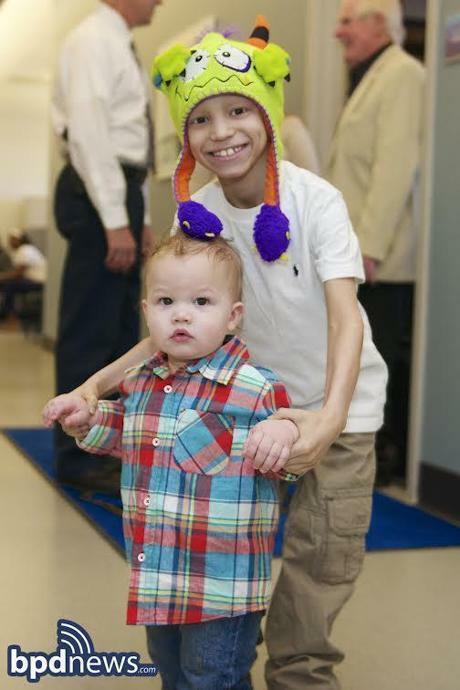 Luis, who was diagnosed with Ewing’s sarcoma in November, was the 300th child to be presented with such a gift through the charity Cops for Kids with Cancer. Retired police superintendent-in-chief Robert Faherty is the chairman of the nonprofit. The organization strives to give out six $5,000 checks per month — each to the family of a child with cancer. 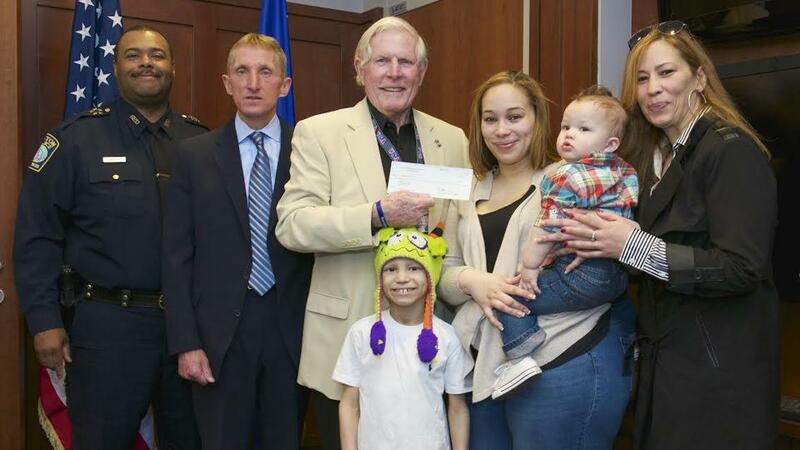 Since its inception in 2008, Cops for Kids with Cancer has given more than $1.5 million to families in need. Police Commissioner William Evans attended this morning’s ceremony.